Rory McIlroy made an impressive start at the WGC Dell Technologies Match Play event in Texas with a 5&4 win over Luke List. The Northern Irishman shot birdies on 13 and 14 to wrap up the victory against the world number 64. American List double bogeyed the 11th to go three down having gone level par through the front nine. 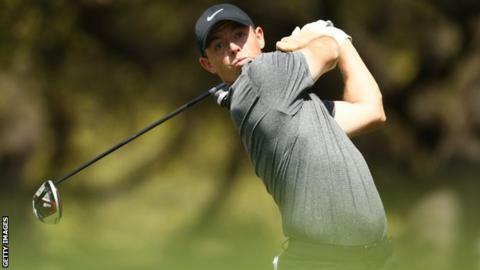 McIlroy will play South Africa's Justin Harding on Thursday before facing Matthew Fitzpatrick on Friday. In his first outing since winning the Players Championship at Sawgrass, McIlroy birdied the first two holes at Austin Country Club to move into an early lead, despite halving the opening hole with List. A bogey at seven was the only blemish on the world number four's scorecard, with his lead extended following List's bogey at the eighth. After all four players in Group Four have faced each other, the winner will advance to the quarter-finals where they will meet the player that emerges from Group 13. That player could be Tiger Woods, as the American began his Group 13 campaign with a 3&1 win over Aaron wise.